If you are restoring your classic Chevy or simply looking to upgrade it's performance, it's the right time to check CARiD and use the advantage of our short-time deal on Edelbrock carburetors! 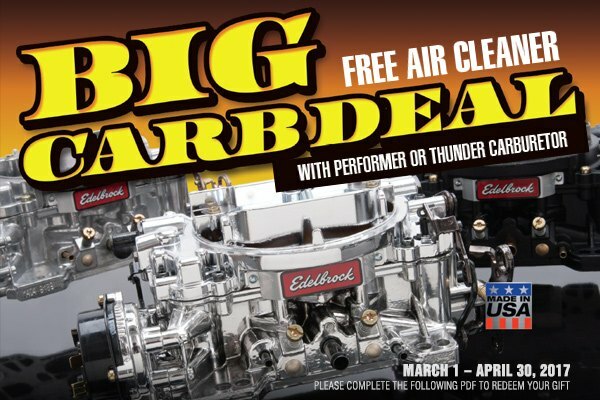 Edelbrock Performance is giving a FREE air cleaner and fender cover (up to $89.95 value) with the purchase of a new Performer or Thunder Series carburetor. Hurry up! Act now, this offer expires on April 30, 2016! CLICK HERE for more information or to reply to this topic.